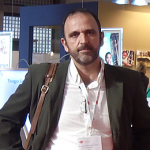 The Brain School Challenge was an idea started by Juan Reina on his very first visit to the Pearl of Africa-Uganda. After several days of visits around the main capital city, he later traveled to the far west of Uganda on the 17th of November 2017 and paid a visit to the communities of Nyabuhama and Rwenjeru located in the western district of Mbarara. This community outreach was organized by The Great Trekkers Safaris a responsible and fair travel agency which fronts sustainable tourism for community development. It’s from this very visit that Juan Reina realized a need of launching a competition in the two community primary schools of Nyabuhama and Rwenjeru where pupils would get to use their Brains in thinking and creating practical solutions in order to solve the available local challenges faced in their rural communities. Like a local proverb says “Teach a man how to fish and he will survive for the rest of his life” Juan Reina believes that all once the pupils are trained and equipped with skills, they can easily survive on their own and have their communities transformed. The brain challenge was the very first of its kind to happen in Nyabuhama primary school and in his speech to the pupils, parents and teachers of the school, Juan Reina asked the pupils to think about any idea or solution they believe can help their community in addressing social, economic and environmental problems. The future of Uganda lies in the hands of the young people once they get the right education, utilize their brains and have relevant practical skills that can enable them to develop sustainable projects for the good development and growth of their communities. 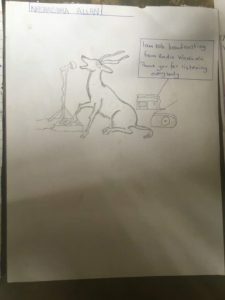 It’s from this background that Juan Reina together with The Great Trekkers Safaris launched this Brain Challenge where all pupils were given an equal opportunity to write down articles, design, draw or make a painting of what they “Think” can help their community. After 2 weeks of research, thinking, drawing and painting, more than 65 pupils submitted their work to their respective teachers who selected the best 5 ideas. 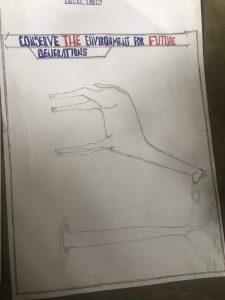 It’s from the best 5 selected work that we got to award the best pupil by the names of Nasasira Andrew who made a good drawing with a great message of effective communication for conservation and community empowerment using radio as a tool of transformation. 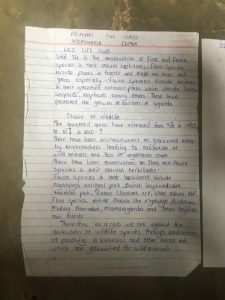 At the age of only 12, he believes that when people have free access to right and relevant information, then all other problems can be easily solved. To him information is power and in his own words he thinks that people in his community lack information on economic, social and environmental fields of life. 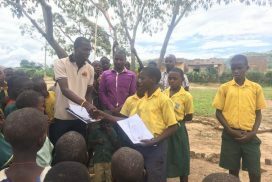 He was rewarded with a cash prize as a way of motivating other pupils to start using their brains and think for what they want to see changed on their community. As an example, here are some of the students' proposals. The second was declared as the winner. Nyabuhama primary school was started in 1974 as a community church School. The School is located along the Kampala-Mbarara high way 12KM off the main road and it’s the only primary school in this community of Nyabuhama. Nyabuhama primary school has a total population of 311 pupils as of August 2017 with 160 girls and 151 boys. Like any other rural primary school in a developing country like Uganda, the school is facing a number of challenges. Nyabuhama Primary school is located in the perimeters of Lake Mburo National Park which is the smallest game park under conservation in Uganda. 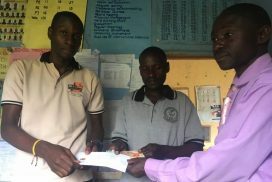 As a community based travel agency which is located in the same district of Mbarara, we selected the school to be the first benefienciary of our community based project’s support program. The school has semi- permanent incomplete classrooms and very old structures which are not only putting the lives of these innocent pupils at a risk but also to their teachers who share the same buildings, The school lacks enough furniture as children sit on muddy and dusty floors during class room hours and worse still the school has No single Library for the pupils. This leaves the children with no access to a single English or science text book to enhance their reading skills. Many parents in this community have for years relied on hunting animals and burning of Charcoal as the only sources of income to use in paying school fees for their children. The Great Trekkers Safaris is a community based tour company that fronts tourism which is sustainable and beneficial to all people. The company is very focused at transforming the lives of vulnerable communities through promotion of sustainable and responsible tourism for community development. 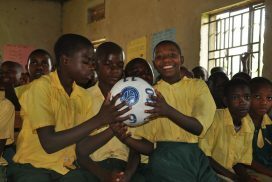 As a social enterprise, we have dedicated 20% of our company’s profit to supporting the education of the most vulnerable children in this school. Currently the company is sponsoring 20 pupils and we hope to increase this number once we get more support from our partners, friends and well wishers who share the same Vision of educating these children. Like Nelson Mandela said “"Education is the most powerful weapon which you can use to change the world." 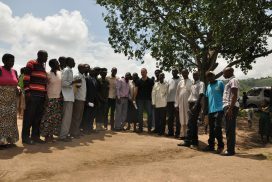 We beleive that through education we can transform the lives of many people living in this rural community of Nyabuhama. In May 2016 we launched a Wild life Club at this School to enable this Children get a message of Conservation. Through this program we are teaching the children the importance of nature and wildlife conservation. We disseminate this message through music, dance and drama. 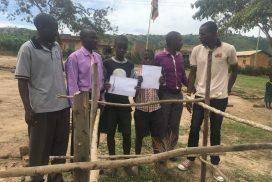 With support of partners, we plan to extend this challenge to all primary schools in Uganda, starting with Mbarara district first and other districts can follow because we strongly believe that when pupils are encouraged to think and use their brains in drafting practical solutions for their communities, sustainable growth and development can easily be realized. Our main target will be all primary schools neighboring conservation communities around Uganda. Through this initiative we intend to disseminate the message of wildlife and nature conservation using tourism as a key tool towards the achievement of sustainable development. With more logistical support, we plan to increase the prize Fund with options of offering scholarships to the best 5 pupils who will be selected in the upcoming Brain Challenge competition. As a social enterprise that fronts responsible and fair tourism, we plan to establish an Eco-friendly community camp site where we shall establish a skills training center to equip these pupils with relevant skills in craft, art, and computer designs. 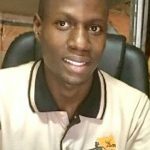 Rogers Nasasira is director of The Great Trekkers Safaris, a Uganda travel agency committed to ecotourism and fair tourism. You can see the complete file of The Great Trekkers here. Some of the trips organized here. Next Next post: TEXDA – Where cotton becomes elegance.